Thank you so much for your comments and suggestions for Moby over the last week! In the end I took up Claire's idea of adding a few fish - this way I was able to add a bit more colour. But I do love the idea of a baby whale with it's parent, so watch this space! 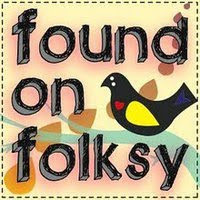 This one was sold from my Folksy shop at the weekend, but I am sure to make more! Here's a couple of sketches I did on the sewing machine. As soon as I saw the fabric in the picture above, it said to me 'Peacock Tail'! This one is sold - yay! 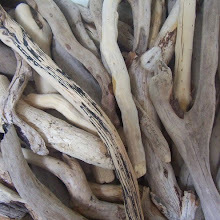 And some of my driftwood pieces - these look great in groups I think - maybe 3 in a row? And finally (I'm quite excited about this) I just picked up my Polperro collage from the framers! You can probably see it's still wrapped up! I've listed it in my shops here and here....but to be honest I kind of like it in my bedroom for the moment!! Hello my lovelies! Here's a few snaps of what I've been working on lately.... something I've been wanting to do for a while, but, well - you know how it is! I really wanted to make a whale - but couldn't get my head around how to do a pattern. I even toyed with making a papier mache one! Then like a vision it came to me... and the prototype of Moby was born!! A very simple one made from calico - and needing a few tweaks... but not bad for a first attempt! I knew what fabric I had in mind - and had a little spend in the fabulous Raystitch! Aren't these polka dot fabrics gorgeous? And the ribbons match perfectly! (The red linen on the right was an eBay find - but ties in great with the others). Maybe I could use it as a pin cushion - or stuff it with lavender? I wrapped the wire ring with the reverse side of the teal polka dot (that's the ocean), and used a bit of colour on the bottom to represent the seabed. A few weeks ago I found this wonderful piece of wood on Seaton beach. The leg pieces aren't right - need to keep my eyes peeled when I'm on the beach again. Then there's the tricky problem of getting him to stand up....! Well, wouldn't you know it, it's Monday again! Had a lovely fruitful trip to the beach on Saturday, then spent some of yesterday in the shed creating with my finds! I've decided to do some more cottages with slate roofs (the one from the last post is sold). Hope you're not getting bored with these by now! The Cornish cottage below is made from two pieces of wood: I painted the main part white, then layered the grey driftwood piece on top. These slate-hung buildings are common around here - our house is quite similar in fact! The chimneys are rusty nails, as before. Both are for sale on my website and on Folksy. Last week I finally got around to creating an Etsy shop! 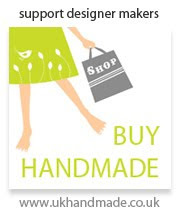 For now I've only listed my lighter-weight items, we'll see how it goes - I had my first sale last night! All that remains for me to say is Happy Valentine's Day! Happy Monday guys! Thanks for all the comments on my last post, it seems it wasn't obvious that there's an online payment facility on my website! So I've added the Paypal logo - hope that will make it clearer! I'm quite excited by my weekend creation! Credit to Steve for suggesting using slate for the roofs! He had to cut them for me, and drill the holes for the nail chimneys. Not only do they look quirky but they hold the roofs in place! Available here and here! Postage is inclusive on my website, hence the price difference. I felt very honoured to be chosen as this month's Featured Artisan on Julia Crossland's lovely blog! You can find out a bit more about me here. In my last post I mentioned having my own website. I never thought that only a few days later that it would have come to fruition! Or that I would have done it all on my ownsome! Thank you very much to Mrs Magic Beans for suggesting this build-your-own website. I must say it was pretty muppet-friendly and the technical support excellent! I would love to hear your thoughts on my site, if you can spare a moment to have a little look!